The prom­in­ent So­viet book and type de­sign­er and Guten­berg Prize medal­ist So­lomon Telingater de­livered the pa­per “Stand­ard­isa­tion of Al­pha­bet­ic Graph­emes” at the in­ter­na­tion­al sym­posi­um in hon­our the 500th an­niversary of Guten­berg's death in Leipzig in 1968. Its Ger­man text was in­cluded in the col­lec­tion of pa­pers com­mem­or­at­ing the bi­cen­ten­ary cel­eb­ra­tions of the Academy of Visu­al Arts Leipzig pub­lished in Oc­to­ber 1964. The fol­low­ing year its Rus­si­an ori­gin­al ap­peared in the 11th edi­tion “Книга: Исследования и материалы” (The Book: Re­search and Ma­ter­i­als) in Mo­scow. Leipzig journ­al “Papi­er und Druck” re­prin­ted the re­port in May 1968, and in Ju­ly of the same year it was picked up by the Amer­ic­an magazine The Journ­al of Ty­po­graph­ic Re­search in the Eng­lish trans­la­tion used be­low (2.3, 1968). mong many at­tempts to re­form the Cyril­lic al­pha­bet one of the earli­est is the es­say en­titled «Новые усовершенствованные литеры для русского алфавита» (“New, Im­proved Let­ters for the Rus­si­an Al­pha­bet”), an­onym­ously pub­lished in 1833 by the print­ing house of Au­guste-René Se­men in Mo­scow. It pro­posed a scheme for trans­ition­ing the Rus­si­an lan­guage to a mostly Lat­in writ­ing sys­tem with some Cyril­lic let­ters, keep­ing their num­ber to the min­im­um (e.g. the sim­il­ar-sound­ing e, ѣ and э were dis­carded in fa­vour of the e with vari­ous dia­crit­ics). In the 1920s, an of­fi­cial com­mis­sion was es­tab­lished by the So­viet gov­ern­ment to de­vel­op a pro­pos­al on the lat­in­isa­tion of the Rus­si­an lan­guage and cre­ation of a new “uni­fied” al­pha­bet for the So­viet re­pub­lics. This pro­pos­al was nev­er im­ple­men­ted, fall­ing the vic­tim of the chan­ging ideo­lo­gic­al cli­mate. In Stal­in’s 1930s Rus­sia the Lat­in al­pha­bet be­came politi­cised, thought of as “a re­flec­tion of the ideo­logy of the class and so­ci­ety that cre­ated it,” and there­fore sus­pect. The abor­ted pro­ject was re­l­at­ively tim­id, com­pared to oth­ers. 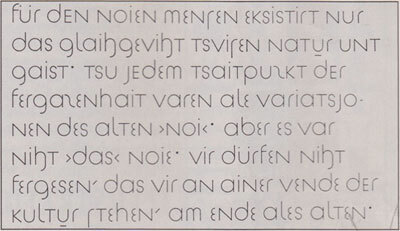 To cite one ex­ample, Eric Gill was far more rad­ic­al than the So­viet lin­guists. A chapter “But Why Let­ter­ing?” ap­peared in the second edi­tion of his fam­ous Es­say on Ty­po­graphy, in which Gill sug­ges­ted re­pla­cing Lat­in let­ters with short­hand to stream­line the pro­cess of writ­ing to the speed of ma­chine pro­duc­tion. In view of the fact that Gill con­sidered the de­hu­man­ising in­dus­tri­al­isa­tion an ob­vi­ous evil, this sug­ges­tion was made some­what tongue-in-cheek. Her­bert Bay­er at Bauhaus, who re­thought Lat­in graph­emes, as well as Jan Tschich­old, and oth­er ty­po­graph­ers and artists, worked on the “uni­ver­sal al­pha­bet” around the same time. Tschich­old fur­ther en­deav­oured to sim­pli­fy a num­ber of com­plex phon­et­ic com­bin­a­tions in the Ger­man lan­guage us­ing Bay­er’s al­pha­bet as a basis. In 1964, So­lomon Telingater, So­viet book artist, prom­in­ent book and type de­sign­er was among the guests of hon­our at a sym­posi­um to mark the bi­cen­ten­ary of the Hoch­schule für Grafik und Buch­kunst (Academy of Visu­al Arts), Leipzig. Ac­cord­ing to Vadim Lazursky, Telingater’s pa­per “Stand­ard­isa­tion of Al­pha­bet­ic Graph­emes” was giv­en a hos­tile re­cep­tion by Jan Tschich­old, who also spoke in the Academy’s aud­it­or­i­um on that day. This is not sur­pris­ing, since by the mid-1960s the once rad­ic­al ty­po­graph­er, propag­at­or of Bauhaus ideas and au­thor of the ac­claimed Die neue Ty­po­graph­ie (1928), ad­voc­ated the ex­act thing that he re­belled against in his youth—the Renais­sance tra­di­tions in print­ing, in­cun­ab­ula mod­els in book design and the clas­sic­al can­ons of the book. The thrust of So­lomon Telingater’s “uni­fied al­pha­bet” the­ory was too uto­pi­an and did not sit well with Tschich­old, who by that time had for­saken the bold ideas of his youth. In fair­ness, we should add that Telingater (no less of a re­volu­tion­ary in 1920s ty­po­graphy) was also furi­ous about Tschich­old’s re­port “The Im­port­ance of Tra­di­tion in Ty­po­graphy” and branded him a “reneg­ade”. From left to right: Jan Tschich­old, So­lomon Telingater, An­drei Gon­char­ov (1903–1979, prom­in­ent So­viet graph­ic de­sign­er, book artist, stu­dent of Vladi­mir Fa­vor­sky). Leipzig, Old Town Hall, 1964. It is dif­fi­cult for me to shed the im­pres­sion that our vari­ous al­pha­bets have, dur­ing their his­tor­ic­al de­vel­op­ment, for­feited their ori­gin­al ad­vant­ages and have com­plic­ated their wide-spread util­isa­tion in­stead of re­tain­ing and fur­ther de­vel­op­ing those ad­vant­ages. As a res­ult, we are faced today with the ques­tion—or chal­lenge—of uni­fic­a­tion and sim­pli­fic­a­tion of the graphemes of na­tion­al al­pha­bets which are based on the Ro­man and the Greek al­pha­bets. The clas­sic found­a­tion of these na­tion­al al­pha­bets was con­struc­ted in such a way that each graph­eme was the equi­val­ent of a def­in­ite phon­eme; or, ex­pressed dif­fer­ently, that each let­ter de­noted a sound. It is not ne­ces­sary here to ana­lyze deeply the reas­ons for this his­tor­ic­al de­vel­op­ment nor the fact that in our con­tem­por­ary al­pha­bets dif­fer­ent re­la­tion­ships between graph­em­ic and phon­et­ic sys­tems have crys­tal­lized them­selves; but it should be em­phas­ized that the com­plic­ated graph­em­ic visu­al­iz­a­tion of some sounds (eaux, a, ch, oi, etc. ), the ex­ist­ence of si­lent let­ters, or the de­vi­ations in the pro­nun­ci­ation of let­ters in re­la­tion to their al­pha­bet­ic sound value con­sti­tutes a cer­tain re­gress when com­pared to the simple and clear read­ab­il­ity of the Ro­man and Greek al­pha­bets. There seems to be a cer­tain de­fect in the his­tor­ic­al de­vel­op­ment of divers sound val­ues of the same let­ter­form (e.g., P-R in the Rus­si­an, and P-P in the Lat­in lan­guage). We are faced here with a ba­sic­ally dif­fer­ent pro­nun­ci­ation, not merely with a dia­lectal dis­tinc­tion. One could elab­or­ate on this com­plex of ques­tions: dif­fer­ent phon­et­ic val­ues of the same let­ter, double re­cord­ing of the same sound, wrong rhythmic dir­ec­tion in the re­cord­ing of the graph­emes, etc. In this con­nec­tion a util­it­ari­an and per­haps not too na­ive a ques­tion should be raised: could man not find ways to cor­rect these his­tor­ic­al de­fi­cien­cies? A rad­ic­al solu­tion could be the uni­fic­a­tion of the graph­em­ic sys­tems of those al­pha­bets which are de­rived from the Ro­man and the Greek al­pha­bets. Fur­ther­more, the uni­fied, stand­ard­ised graph­emes should be made man­dat­ory for all of the al­pha­bets with­in the Ro­man-Greek and Greek-Cyril­lic group. The sys­tem of dia­crit­ic­al marks should be equally stand­ard­ised in prin­ciple. The table of graph­emes presen­ted here is merely an in­itial step re­quir­ing fur­ther dis­cus­sion and de­vel­op­ment. At the same time I am also re­com­mend­ing a new ar­range­ment of the graph­emes with­in the al­pha­bet, which is dic­tated by the char­ac­ter of their graph­ic forms. In this way, one must as­sume, a cer­tain prac­tic­al sense of lo­gic would ex­press it­self in the ar­range­ment of the al­pha­bet (the pre­ci­sion of the sys­tem of graph­ic con­struc­tion re­places the his­tor­ic­al se­quence which lacks any sys­tem­at­isa­tion). Graph­emes as pro­posed by the au­thor and ar­ranged on the basis of the char­ac­ter of their graph­ic forms. 1965. There is no doubt that the im­ple­ment­a­tion of this idea would, in all prac­tic­al­ity, stretch over sev­er­al gen­er­a­tions. Even in the nor­mal pro­cess of de­vel­op­ment, past his­tor­ic­al de­fi­cien­cies would have to be elim­in­ated. Many dif­fi­culties would un­doubtedly arise; with­in every lan­guage spe­cial prob­lems would have to be coped with. It is cer­tain, however, that the pro­gress­ive de­vel­op­ment of his­tory and of man­kind is closely re­lated to the peace­ful co­ex­ist­ence and the eco­nom­ic and cul­tur­al re­la­tion­ships among na­tions. In­ter­na­tion­al tele-com­mu­nic­a­tion and travel which pro­mote such re­la­tion­ships are de­vel­op­ing at an ac­cel­er­ated pace. Nobody can deny that the stand­ard­isa­tion of the al­pha­bet could be of em­in­ent im­port­ance in this re­spect. The rising de­vel­op­ment of sci­ence and tech­no­logy (faster than we real­ize) is el­ev­at­ing hu­man­ity to a level at which the mul­ti­tude of dif­fer­ent al­pha­bets should be con­sidered a ser­i­ous im­ped­i­ment for the fu­ture pro­gress of civil­iz­a­tion on our plan­et. 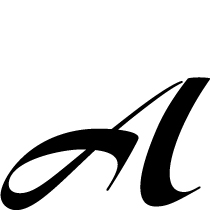 Au­thor’s draft of a text writ­ten with the uni­fied al­pha­bet. 1965. The prac­tic­al im­ple­ment­a­tion of this prom­ising task would un­doubtedly have to be per­formed in tac­tic­al stages. These stages might in­clude: elim­in­a­tion of the ar­cha­isms in our al­pha­bets and of the si­lent, un­pro­nounced let­ters; im­prove­ment of the dia­crit­ic­al mark­ing sys­tem; stand­ard­isa­tion of in­di­vidu­al let­ters with na­tion­al al­pha­bets, etc. A gen­er­al solu­tion based on ter­rit­ori­al or lan­guage areas would have to be ar­rived at after in­ter­na­tion­al dis­cus­sions have taken place. It is in­ter­est­ing to note that the stand­ard­isa­tion of al­pha­bet­ic graph­emes on an equal phon­et­ic basis could res­ult in a re­duc­tion of text lengths from 20% to 25% in some lan­guages, es­pe­cially French and Eng­lish. In this con­nec­tion, it should be poin­ted out that this pro­pos­al has noth­ing to do with the ideas of the Es­per­ant­ists; it con­fines it­self to a re­form of al­pha­bet­ic graph­emes and in no way at­tempts to al­ter the vari­ous na­tion­al lan­guages. Sketches of sev­er­al char­ac­ters in So­lomon Telingater’s uni­fied al­pha­bet—char­ac­ters that have a unique struc­ture (Y, П, Ц, У, Л, И, Х, Q, О, etc. ), the struc­ture of two single graph­emes (Ф, W) and of two dif­fer­ent graph­emes (Б, Я, Ю). 1965. Phon­et­ists al­ways em­phas­ise the fact that the ori­gin­al forms of the al­pha­bets util­ised by us were not de­rived from a phon­et­ic basis but from a graph­ic, pictori­al one. The signs of the phon­et­ic script had their ori­gins in the hiero­glyphs. If one could in­cor­por­ate the sub­tleties of hu­man speech and the phon­et­ic rich­ness of our lan­guage in­to the cre­ation of a cor­res­pond­ing al­pha­bet, a mul­ti­tude of new and use­ful graph­emes and com­bin­a­tions would be the res­ult. But even then, many of the del­ic­acies of phon­et­ic com­bin­a­tions and of oth­er lan­guage fin­esses would be im­possible to re­cord. We must bear in mind that any stand­ard­isa­tion of al­pha­bets should lead to a min­im­um of graph­emes, and all of the gen­er­al phon­et­ic vari­ations must be ex­pressed through the dia­crit­ic­al sys­tem. In the So­viet Uni­on the stand­ard­isa­tion of the al­pha­bet or the in­tro­duc­tion of a uni­fied al­pha­bet could be re­l­at­ively easy, since one is fa­mil­i­ar here with dif­fer­ent al­pha­bets. In our coun­try, al­most the en­tire young gen­er­a­tion knows the Lat­in al­pha­bet. One can ima­gine, however, that the prac­tic­al im­ple­ment­a­tion of an al­pha­bet­ic stand­ard­isa­tion could cause many dif­fi­culties in in­di­vidu­al lan­guages. In French, for in­stance, we use the let­ter s for the plur­al form. If we let ourselves be guided by the prin­ciple that a sound equals a let­ter, all si­lent let­ters should not be writ­ten. What about the form­a­tion of the French plur­al in that case? Spoken French may help us here. It must be as­sumed that a French­man—on the basis of the con­text of the sen­tence—can un­der­stand very well wheth­er a word is used in its sin­gu­lar or plur­al form, in spite of the fact that the s is un­pro­nounced. Sim­il­ar ex­amples can also be found in oth­er lan­guages; if we are to hope for solu­tions to these prob­lems, we must look to the philo­lo­gists for guid­ance. The ex­amples shown here are, by no means, de­signed as fi­nal solu­tions to the ques­tions I have raised. They are merely to il­lus­trate the ba­sic idea of my gen­er­al pro­pos­al. Eng­lish text writ­ten us­ing So­lomon Telingater’s uni­fied al­pha­bet. 1965. French text writ­ten us­ing So­lomon Telingater’s uni­fied al­pha­bet. 1965. Ger­man text writ­ten us­ing So­lomon Telingater’s uni­fied al­pha­bet. 1965. Bul­gari­an text writ­ten us­ing So­lomon Telingater’s uni­fied al­pha­bet. 1965. Rus­si­an text writ­ten us­ing So­lomon Telingater’s uni­fied al­pha­bet. 1965. Span­ish text writ­ten us­ing So­lomon Telingater’s uni­fied al­pha­bet. 1965. In con­clu­sion, let me sug­gest that we ad­mit, first of all, that the present form of many na­tion­al al­pha­bets can on all prob­ab­il­ity be im­proved. Once we agree on that, all re­search people whose work im­pinges on al­pha­bet­ic stud­ies would be called upon to par­ti­cip­ate act­ively in its con­tin­ued de­vel­op­ment and modi­fica­tion on an in­ter­na­tion­al co­oper­at­ive basis. So­lomon Telingater’s art­icle has been ad­ap­ted from a lec­ture giv­en dur­ing a sym­posi­um at the Hoch­schule für Grafik und Buch­kunst (Academy of Visu­al Arts), Leipzig on Feb­ru­ary 7, 1968, hon­or­ing the 500th an­niversary of the death of Jo­hannes Guten­berg. The art­icle was pub­lished con­cur­rently in Ger­man in the May 1968 num­ber of Papi­er und Druck (Pa­per and Print­ing), Leipzig. Trans­lated by Klaus F. Schmidt, Dir­ect­or of Print­ing Pro­duc­tion, Young & Ru­bicam, Inc., New York; Chair­man, Board of Trust­ees, The In­ter­na­tion­al Cen­ter for the Ty­po­graph­ic Arts, Inc. The ed­it­or­i­al staff would like to thank Vladi­mir Telingater for his as­sist­ance in pre­par­ing this es­say for pub­lic­a­tion. Ini­tial cap based on So­lomon Telingater’s cal­li­graph­ic al­pha­bet. In the 1930s, So­viet type de­sign­er Faik Ta­girov in­tro­duced a term de­not­ing the graph­ic ex­pres­sion of a “phon­eme” – the skel­et­on of a let­ter devoid of any styl­ist­ic prop­er­ties. Ac­cord­ing to Ta­girov, there were three as­pects of the phon­eme’s graph­ic­al ap­pear­ance. The first rep­res­ents the graph­ic ex­pres­sion of a phon­eme in up­per and lower case, while the second one de­notes the graph­ic ex­pres­sion of a phon­eme us­ing dif­fer­ent faces, in­clud­ing hand­writ­ing styles. Fi­nally, the third ap­pear­ance sig­ni­fies the graph­ic ex­pres­sion of a phon­eme us­ing dif­fer­ent styles with­in one type fam­ily (bold, reg­u­lar, it­al­ic, etc.). 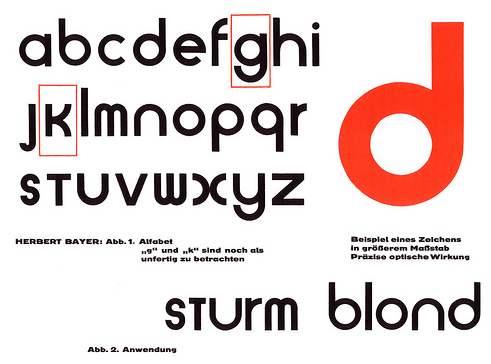 See also So­lomon Telingater’s “Über das Grafem des Al­pha­bets” in Ty­po­grafie, 1965/1, pp. 21-23.